On May 30, the U.S. Treasury Department sanctioned three Iranian entities and six individuals for committing human rights abuses and censorship activities on behalf of Iran's government. “Iran not only exports terrorism and instability across the world, it routinely violates the rights of its own people," said Treasury Secretary Steven T. Mnuchin. "The Iranian regime diverts national resources that should belong to the people to fund a massive and expensive censorship apparatus and suppress free speech.” The following is the full text of the Treasury’s press release. Washington – Today, the U.S. Department of the Treasury’s Office of Foreign Assets Control (OFAC) designated two Iranian entities for committing serious human rights abuses on behalf of the Government of Iran, as well as three leaders of one of these entities, the Ansar-e Hizballah organization. Additionally, OFAC designated an entity that has operated information or communications technology that facilitates monitoring or tracking that could assist or enable serious human rights abuses by or on behalf of the Government of Iran. Finally, OFAC designated two individuals for engaging in censorship activities that prohibit, limit, or penalize the exercise of freedom of expression or assembly by citizens of Iran, and one individual for acting for or on behalf of an entity engaged in such censorship activities. These designations come in the wake of recent protests by the Iranian people and the regime’s subsequent brutal crackdown. Today’s actions target the Iranian regime’s repression of its own people and the suppression of their freedoms of speech, expression, and peaceful assembly. As President Trump emphasized in his May 8, 2018 announcement of his decision to cease the United States’ participation in the Joint Comprehensive Plan of Action (JCPOA), the United States will not allow Iran’s malign behavior to go unchecked. These actions show a desire to hold malicious actors accountable for their actions even as they try to hide from international scrutiny. OFAC is designating Ansar-e Hizballah for its role in serious human rights abuses in Iran. Additionally, OFAC designated three individuals for acting for or on behalf of the organization. Ansar-e Hizballah was designated pursuant to Executive Order (E.O.) 13553 for being an official of the Government of Iran or a person acting on behalf of the Government of Iran (including members of paramilitary organizations) who is responsible for or complicit in, or responsible for ordering, controlling, or otherwise directing, the commission of serious human rights abuses against persons in Iran or Iranian citizens or residents, or the family members of the foregoing. Ansar-e Hizballah has been involved in the violent suppression of Iranian citizens and has collaborated with the Basij to violently attack Iranian students with knives, tear gas, and electric batons. The Basij Resistance Force was designated pursuant to E.O. 13553 on June 9, 2011 for committing serious human rights abuses in Iran. An organization supported by the Iranian regime that harasses and attacks the Iranian people, Ansar-e Hizballah has been linked to acid attacks against women in the city of Isfahan. Multiple women who were not dressed in accordance with the regime’s standards had acid thrown at them, severely injuring them and creating a climate of fear. Abdolhamid Mohtasham is being designated pursuant to E.O. 13553 for acting for or on behalf of Ansar-e Hizballah. As a founding member and key leader of the group, Abdolhamid Mohtasham plays a significant role in overseeing the group’s actions. He has threatened to use Ansar-e Hizballah to patrol Iranian streets and attack women whom he deems to be unvirtuous. Hossein Allahkaram is being designated pursuant to E.O. 13553 for acting for or on behalf of Ansar-e Hizballah. In 2011 the European Union sanctioned Hossein Allahkaram for co-founding and leading Ansar-e Hezbollah, noting that under his leadership the group used extreme violence during multiple crackdowns on student protestors. Lastly, Hamid Ostad is being designated pursuant to E.O. 13553 for acting for or on behalf of Ansar-e Hizballah. Hamid Ostad, who founded the Mashhad branch of Ansar-e Hizballah, was implicated in a mob attack against the Saudi Arabia Consulate in Mashhad. OFAC is designating Evin Prison pursuant to Executive Order (E.O.) 13553 for being a person acting on behalf of the Government of Iran (including members of paramilitary organizations) who is responsible for or complicit in, or responsible for ordering, controlling, or otherwise directing, the commission of serious human rights abuses against persons in Iran or Iranian citizens or residents, or the family members of the foregoing. Prisoners held at Evin Prison are subject to brutal tactics inflicted by prison authorities, including sexual assaults, physical assaults, and electric shock. Iran’s Ministry of Intelligence and Security (MOIS) and Islamic Revolutionary Guard Corps (IRGC) maintain permanent wards in Evin Prison where they hold political prisoners. And while senior regime officials regularly downplay the torture and abuse that occurs in Evin Prison, the abuse of prisoners, including political prisoners, continues once sham inspections into the prison conditions end. Iran’s MOIS was designated pursuant to E.O. 13553 on February 16, 2012 for committing serious human rights abuses in Iran. The IRGC was designated pursuant to Executive Order 13553 on June 9, 2011 for committing serious human rights abuses in Iran. OFAC is designating Iran-based Hanista Programing Group pursuant to E.O. 13606 for having operated, or having directed the operation of, information and communications technology that facilitates computer or network disruption, monitoring, or tracking that could assist in or enable serious human rights abuses by or on behalf of the Government of Iran. Hanista Programing Group is responsible for creating and distributing alternative versions of the popular messaging and social media application Telegram that facilitate the Iranian regime’s monitoring and tracking of Iranian and international users. Hanista Programing Group developed two social media applications called Mobogram and MoboPlus and embedded malicious content in them that facilitates the monitoring and tracking of Iranian citizens. This monitoring and tracking functionality could assist or enable serious human rights abuses by the Government of Iran, including the IRGC and MOIS. 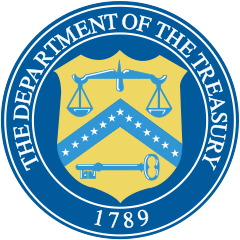 OFAC is designating Abolhassan Firouzabadi and Abdolsamad Khoramabadi pursuant to E.O. 13628 for having engaged in censorship or other activities with respect to Iran that prohibit, limit, or penalize the exercise of freedom of expression or peaceful assembly by citizens of Iran, or that limit access to print or broadcast media. Abolhassan Firouzabadi is responsible for the Iranian government’s efforts to block social media applications like Telegram and to force Iranians to use state-run applications that are monitored by the regime. As the Secretary of Iran’s Supreme Council of Cyberspace, Abolhassan Firouzabadi heads the country’s top Internet policymaking body and oversees the regime’s attempts to censor speech and media. The Supreme Council of Cyberspace was designated pursuant to E.O. 13628 on January 12, 2018. As the Secretary of the Committee to Determine Instances of Criminal Content, Abdolsamad Khoramabadi has overseen the filtering and blocking of political content during elections. In 2017, Abdolsamad Khoramabadi tasked the Basij to lead the regime’s crackdown on cyber activity, and claimed that the country had thousands of monitors to report violations of websites and social media networks. The Committee to Determine Instances of Criminal Content was designated pursuant to E.O. 13628 on May 30, 2013. Lastly, OFAC is designating Abdulali Ali-Asgari pursuant to E.O. 13628 for acting for or on behalf of IRIB. Abdulali Ali-Asgari is the current Director General of IRIB and has acted on behalf of the organization, including representing the organization in international for a. The IRIB was designated pursuant to E.O. 13628 on February 6, 2013 for restricting or denying the free flow of information to or from the Iranian people. IRIB was implicated in censoring multiple media outlets and airing forced confessions from political detainees. As a result of these actions, all property and interests in property of the persons designated today that are in the United States or in the possession or control of U.S. persons must be blocked and reported to OFAC, and U.S. persons are generally prohibited from engaging in transactions with such persons. In addition, foreign financial institutions that knowingly facilitate significant transactions for, or persons that provide material or certain other support to, the individuals and entities designated today risk exposure to sanctions that could sever their access to the U.S. financial system or block their property and interests in property subject to U.S. jurisdiction. Identifying information on the individuals and entities designated today.